Happy New Year! We have celebrated O-shogatsu (New Year’s) with toshikoshi soba and o-sechi ryori, traditional New Year’s foods. Starting on Monday, I’ll be back in the classroom with my students. This song was written with our son Christian when he was in elementary school. Christian and Chuck are singing it at home for you:. Happy New Year! Happy New Year! Happy New Year! Hip hip hooray! How should we move with this song? 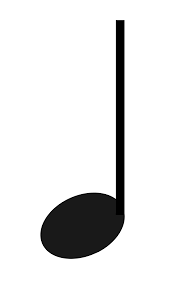 When students first listen to the song, they might like to jump, march, or twirl around. 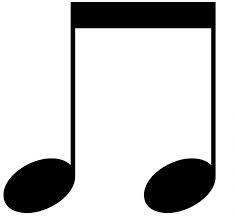 When I first teach the words to this song, students keep a “steady beat” by patting their legs. To make it a little more challenging, they can create a pattern by patting their legs once, then clapping their hands. Think “pat-clap-pat-clap” or “down-up-down-up.” Do this for the first three lines. — On Happy New Year! my students like to shake their hands above their heads. Some students like to turn around quickly! — On Hip hip hooray! students roll their hands, then jump once in place. For an even bigger challenge, students can do the pat-clap pattern with a partner by patting their own legs, and then clapping both hands with a partner. Our biggest challenge? Students stand in a circle facing their partner. First they pat their own legs, then clap with their partner. Then they turn to the person on the other side (called a “corner” in folk dance), repeating the pat-clap. They repeat the pattern with their partner, then corner until the Hip hip hooray. Check out the video to see what my students did! Happy New Year 2018! We hope that you keep a song in your heart and a smile on your face. May 2018 be filled with lots of joy! Happy New Year is one of 15 great songs for kids on Kathy Kampa’s Special Days and Holidays. The CD includes a handy attached booklet with lyrics, and is available for teachers in Japan at ETJ Book Service. For teachers residing outside of Japan, the songs are available for download through iTunes. To hear the studio version of this song, go to iTunes, and click on Track #3. CDs are available for sale through the Red Balloon Bookshop in St. Paul, MN, Mad Robin Music & Dance in Seattle, WA, St. John’s University Book Store, Collegeville, MN, and The Fishing Pond, St. Cloud, MN. Stay tuned for our second New Year’s song, It’s The Year of the Dog! I teach very young learners. I love the energy that these students bring to my class! The question is how to harness that energy productively. This chant from Magic Time One 2nd edition (OUP) is perfect for very young learners. In the lessons prior to this, students learned about various pets, such as cat, dog, rabbit, bird, turtle, and frog. (Actually the artwork shows additional pets that the children find in the pictures). The four verbs in this lesson are jump, run, hop, fly. First of all, students practice each of the four verbs–jump, run, hop, fly–standing in one place. It’s also important for young learners to learn “Stop!” It’s fun to make it a game by saying these verbs several times (Jump! Jump! Jump! ), and then “Stop!” You can do this with music by starting and stopping the music. When my students, they love to make interesting poses, too. Secondly, put these four words into the chant pattern. I like to do this as a fingerplay sitting with the students. For run, make your fingers move quickly in your palm. For fly, move your fingers in the air. You can place the four picture cards in the order of the song like this. Put the three verbs in one row, and run in another. You can see in the video that my students matched the animals to the picture cards. Jump! Jump! Run, run, run! Change jump to hop. Then change to fly. Here’s a video of some of my very young learners performing this chant. Students extend this language by putting it into the phrase, It can _______. Students are then able to talk about all of the pets they’ve learned about. Yes, this is an unusual post for this blog! I have been asked by many teachers to write about the game I created to practice frequency adverbs. The goal of this game is to practice frequency adverbs (never, sometimes, usually, always) with everyday chores. You need one dice and a set of “chore” flashcards. The chores in Everybody Up (published by Oxford University Press) include the following: wash the car, take out the garbage, water the plants, vacuum the carpet, sweep the floor, clean the bathroom. If you don’t have chore flashcards, you can certainly make up your own list. This game works well in groups of three to four students. My students decided that the numbers on the dice would represent the following words or choices. If the student rolls the number 5, he/she can choose which frequency adverb to use. If the student rolls the number 6, he/she can ask a classmate or teacher to choose which frequency adverb to use. After each person’s turn, other students might ask if the statement is true or false. When a student says, I always make my bed, the others ask, Is it true? Here’s a link to a short video of my students playing this game. I hope that you enjoy it! Students love to make letter shapes with their bodies. Learning the names of the days of the week in English can be tricky. For many of us, we teach our English class on the same day each week. This song “What Day Is It?” is a fun way to practice the days of the week. First of all, write a letter on the board or show a picture card. Model making that letter with your fingers, arms, or whole body. Make the letter so that students are able to read it. You might imagine how that letter would look when you write it on your whiteboard. Students will be able to “read” your letter. Invite students to make letters with you. They might even make letters with the entire class! Try making letters in many different ways. We started at the beginning of the alphabet. Students made A, a, and B, b (see B below). In Magic Time (Oxford University Press) students have fun making letter shapes to learn the letter name and its sound. Now write the names of the days of the week. Run your finger under the word as you say it (Sunday). Point out the first letter. Encourage students to make that letter with their bodies in several ways. Remind students that days of the week begin with capital letters. As you can see, sometimes the letters appear flipped around to us. The important idea is that students are making the letter shapes. Pass out the “days of the week” cards, one to each student. Students line up in order around the circle starting with Sunday. Students make the initial letter shape as they sing each day of the week. When they sing “Tra la la la la” add a group movement, such as pat your knees, clap your own hands, clap your “neighbor’s” hands. Tra la la la la. Here are some of my students demonstrating this song. Come and join them! Have you heard of the acronym CLIL? It stands for Content and Language Integrated Learning. CLIL lessons link classroom content with vocabulary and grammar paradigms. We can bring the world of nature into our English lessons! Here’s a great CLIL science lesson you can teach your young learners today! 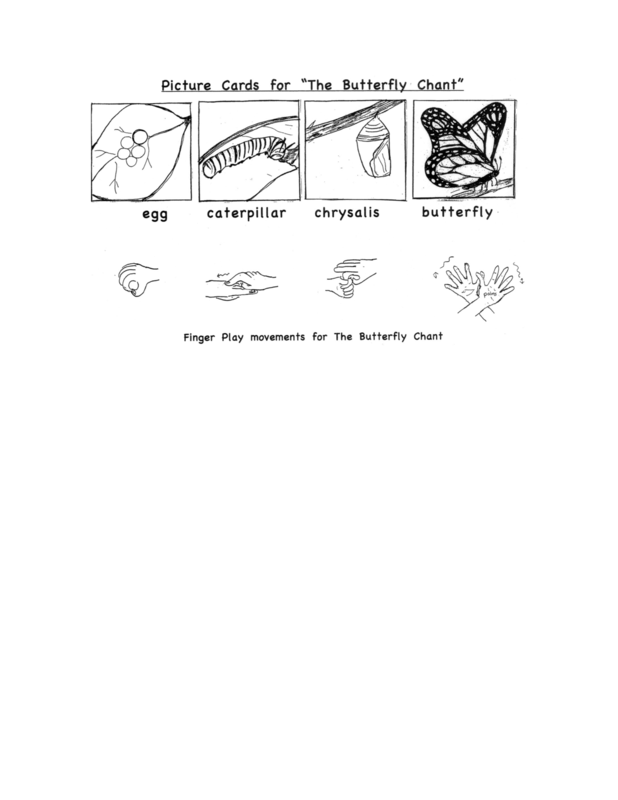 It introduces students to a butterfly’s life cycle. Like all powerful lessons that provide “many ways to learn,” this lesson teaches English through words, pictures, chants, movement, logic, and more! Please refer to the illustration below as we go through the steps of the lesson. 2. Next, create finger shapes for each word. The “finger play movements” below the illustrations will show you how, or use your imagination to create your own ideas. 3. Say the chant using the finger movements. Wait . . . . Good-bye! The professional recording can be found on Jump Jump Everyone. 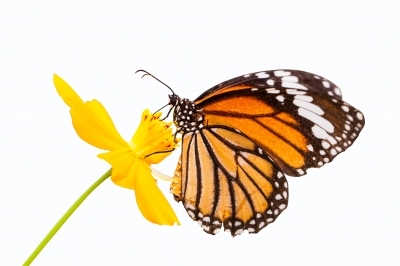 Through the power of CLIL, students have now experienced the life cycle of a butterfly in a meaningful and memorable way. The vocabulary they have learned has real meaning, and they will happily repeat the activity many times in future lessons. Let us know how this activity works in your classroom, and if you discovered any new ways to teach it! Let’s Celebrate Girls’ Day! It’s Time for Hina Matsuri! Girls’ Day is celebrated on March 3rd in Japan. It’s called “Hina Matsuri”. Beautiful dolls called “Hinaningyo” are displayed on red stairs. 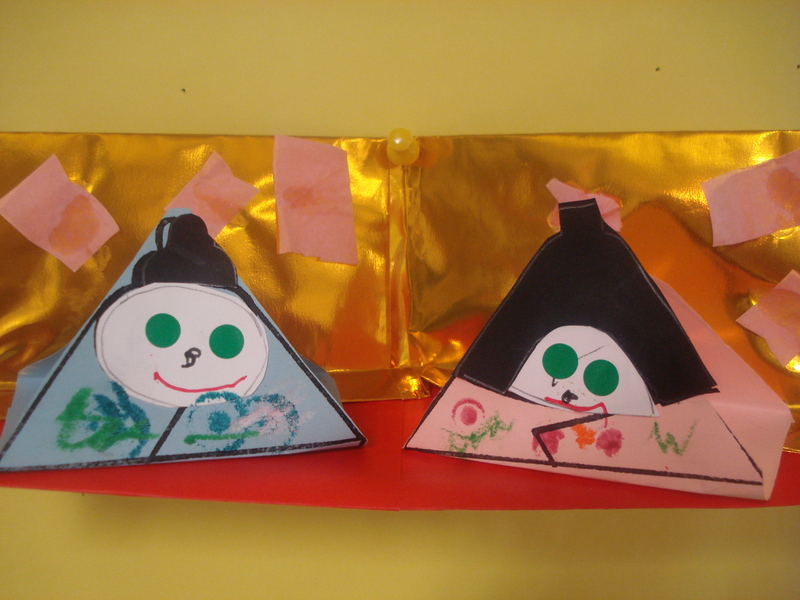 Here is a photo of the beautiful dolls from our kindergarten at Seisen International School. Starting at the top, you can see the emperor and empress dressed in traditional clothing of the Heian period. On the lower steps, you can see the attendants and musicians. Miniature furniture is also displayed. 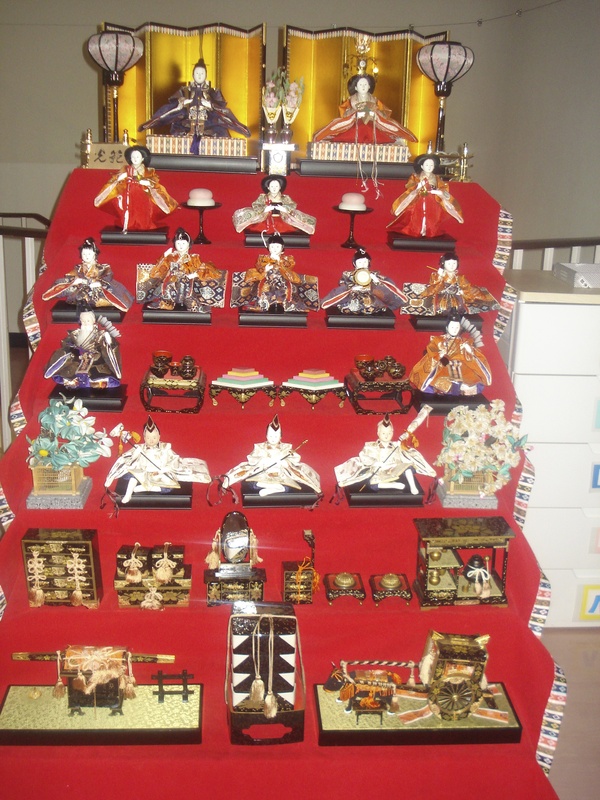 These dolls are displayed at my school for Hina Matsuri/ Girls’ Day. At this time of year, we can find displays of these beautiful dolls in many public places. This set was on display at a local onsen. Since we’ve been living in Japan for over 25 years, I wanted to write a song in English to help my students talk about the celebration. It’s written to the tune “Kaeru no Uta.” The melody goes up and down, just like the stairs for the dolls. My students really love it! I’d like to gift you with this free professional recording of “We Love Hina Matsuri” for Girls’ Day on March 3rd! Scroll to the end of the post below. Here are some notes to dance along with it. Girls: Curtsy to right, then to left. Boys: Bow two times. Hina Matsuri is Girls’ Day. Students sing this song all together twice. Then, divide students into two groups. The first group starts singing We love Hina Matsuri, and continues to sing to the end of the song. When the first group gets to the second line, Pretty dolls . . . the second group begins singing We love Hina Matsuri. Continue in the same way. This is called a canon. We end by singing the song all together again. Now you can even divide into four groups! Each group begins at a new line. After you’ve finished singing, try some origami. Our students enjoy making origami dolls. We usually make two dolls representing the emperor and the empress. For more ideas, check out this site. www.origami-club.com/hina/ When you click the left oval (おりかた), you can see how to make it the origami. When you click the right oval (あにめ), you can easily understand how to fold. Thanks to Yoko Matsui for sharing this site filled with lots of great ideas. 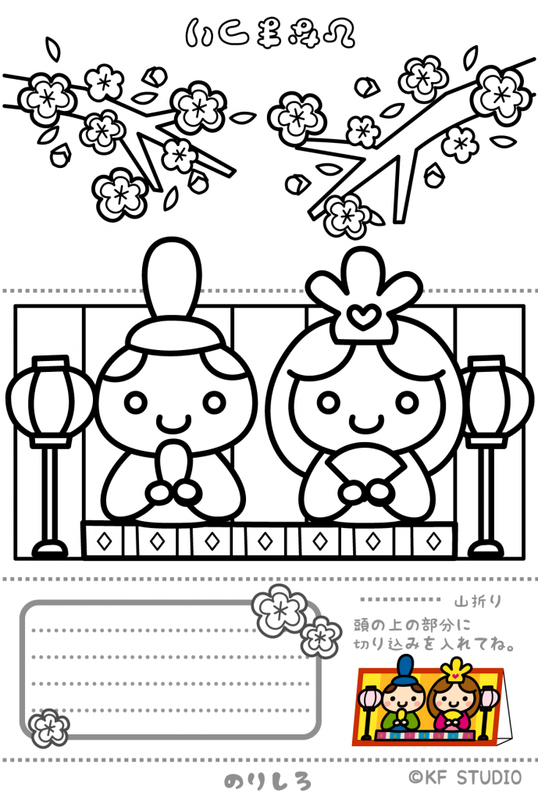 For something simpler, try these coloring activities. These songs “grow” in my classroom. We Love Hinamatsuri is one of 15 great songs for kids on Kathy Kampa’s Special Days and Holidays. There are also 23 great songs for kids on Kathy Kampa’s Jump Jump Everyone. This album is filled with movement songs, classroom management/transitional songs, and CLIL/content songs. They’ve grown in my young learner classroom. These two CDs each include a handy attached booklet with lyrics, and are available for teachers in Japan at ETJ Book Service. For teachers residing outside of Japan, the songs are available for download through iTunes. Lots of great movement songs, transitional songs, and CLIL/content songs! Happy New Year! All around the globe the new year is celebrated in different ways. Here in Japan people celebrate o-shogatsu, the new year, with many special traditions. One of the important traditions seen all over the country is the celebration of the new animal for the year. This year it is the year of the sheep. Perhaps you’re familiar with the Chinese calendar of twelve different animals. 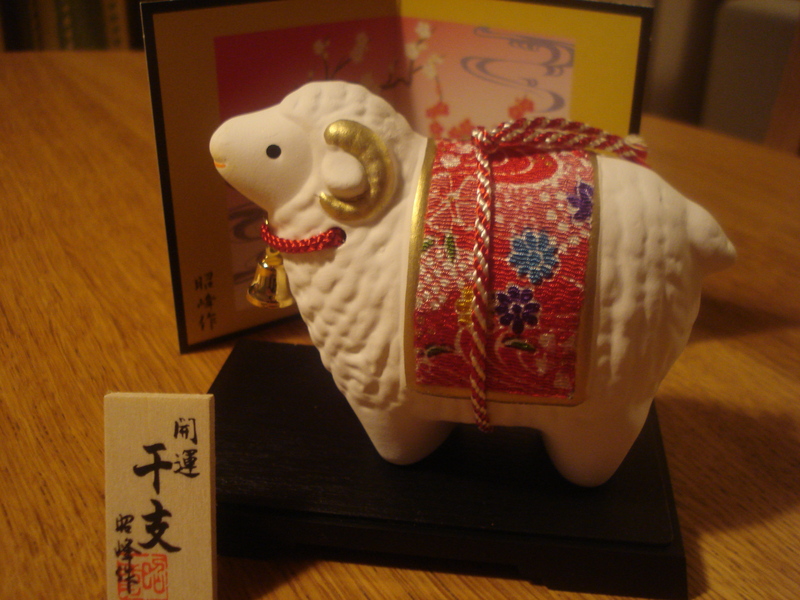 At our first class this week, we’ll begin by wishing everyone a Happy New Year 2015, the year of the sheep. I wrote a simple song to teach the year and how to spell the word “sheep.” We had fun creating a recording for you at home with our son Christian. It’s the year of the sheep. 1. 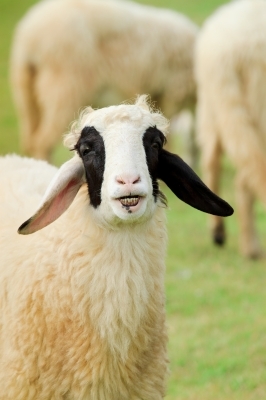 Show students the picture of a sheep. When they sing the word “sheep” they can make a pose like a sheep or point to the picture. If you have lively students, they might enjoy skipping or galloping during this part of the song instead. To make it more challenging, students can pat, stamp, or snap the rhythm. My students like to clap the first time they spell “sheep,” then they pat their legs, and finally they stamp their feet. If you have instruments in your classroom, you can play this part. 4. The song ends with “It’s the year of the sheep!” Students make the sheep pose, or point to the picture. You can also celebrate the New Year with our song, “Happy New Year!” I wrote it with our son Christian, and it is always a hit with our students. You can find it on Kathy Kampa’s Special Days and Holidays. The lyrics are easy for students to follow. Students like to pat their legs, then clap their hands to the beat. On the last Happy New Year, they turn around and wave their hands.